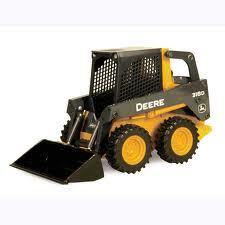 JOHN DEERE 318 SKID STEER LOADER. TOOTH BAR FOR BUCKET AVAILABLE FOR ADDITIONAL COST. FORKS AVAILABLE FOR ADDITIONAL COST. * Please call us with any questions about our skid steer loader in Wilmington, Middletown, and surrounding cities in Northern Delaware.